What a store! 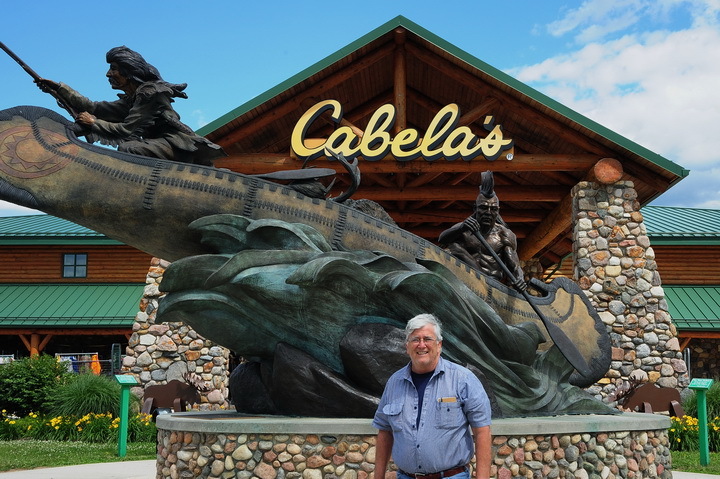 Yesterday my sister and her husband, Linda and Rich, drove to Cabela’s in Hamburg Pennsylvania. It is an impressive store outside. It is a remarkable store inside. Nuts and bolts for most all outdoor sport – hunting, fishing, hiking, camping, canoeing, kayaking are some. Clothing, footwear, equipment, supplies, gear, incidentals, how-to books, and so much more and shelved in each distinct department. Noticeable on entering the store are the many and large displays of mounted wildlife from North America and beyond. A large display of a high rocky mountainside dominates the rear of the main floor. You get somewhat of an idea of this in the picture above. Other parts of the store host other displays. It struck me that this store is almost Cathedral-like. 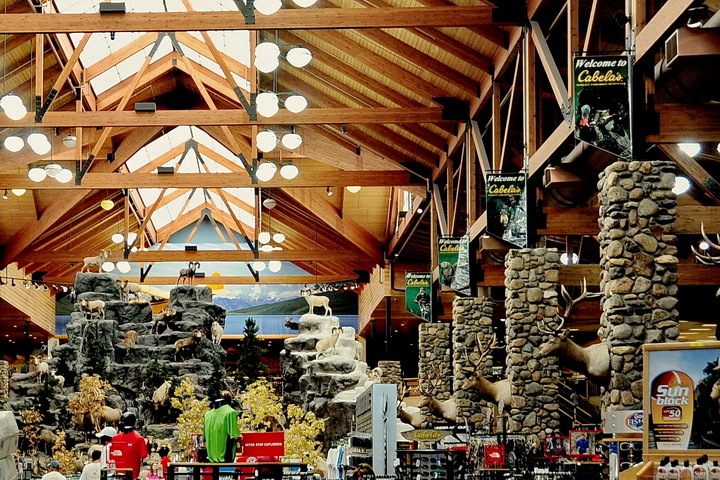 Perhaps it is a Cathedral of the Great American Outdoor Sports of fishing, hunting and hiking. It is peopled by folk who come to share and perhaps partake of its goods. Below see me in front of Cabela’s, Monday June 7, 2010.